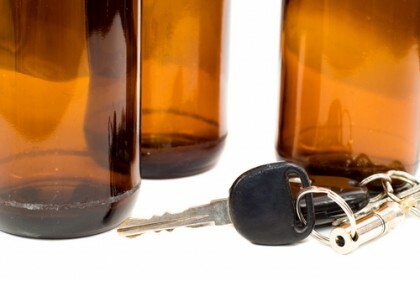 Every year in the U.S., close to 10,000 lives are lost as a result of drunk driving. Given that drunk driving is entirely preventable, significant efforts and funds have been put towards educating the public about the dangers of drunk driving and trying to deter this reckless behavior by criminalizing it (and exacting some harsh penalties for those convicted of the offense). The DOT is working on developing groundbreaking technology that regulators hope will stop drunk driving for good, a Portland car accident lawyer explains. Although these efforts have reduced the incidence of drunk driving, they haven’t stopped it. So, regulators at the U.S. Department of Transportation (DOT) are now taking a new approach – they are working on developing technology to STOP drunk drivers from being able to turn on vehicles and drive at all. How Could the DADDS Technology Stop Drunk Driving? A breath-operated device that would prevent a vehicle from starting when a motorist has a BAC at or above 0.08 – Based on the info the DOT has released so far about this technology, it seems like it would work similar to a breathalyzer device. A laser-operated device that would detect intoxication via people’s skin – Specifically, this device would point a laser at a driver’s fingertip to assess sobriety versus intoxication. These devices have reportedly already been developed as mock-ups, with the next phase of research focused on testing drivers’ interactions with the systems. Providing this technology only for certain classes of motorists, such as commercial drivers, motorists with a history of DUI or even new/teen drivers. For 35 years, MADD has worked to stop the horrible crime of drunk driving. This technology represents the future, when one day drunk driving will be relegated to the history books…While we still have a lot of work to do, we are closer than ever to eliminating drunk driving. Share your thoughts and opinions about DADDS technology and the DOT’s work on our Facebook & Google+ pages. If you or a loved one has been hurt by a drunk driver (or by any negligent motorist), you can rely on a trusted Portland car accident lawyer at the Savage Law Firm for experienced help and aggressive legal advocacy. For more than three decades, our lawyers have been devoted to providing each of our clients with personal attention, respect and the highest quality legal services.